With the increasing sophistication of additive manufacturing technologies, the doors have been opened for applications far beyond simple desktop printing and prototyping. 3D printers have grown in terms of size, sophistication and flexibility, to the extent there are now models available that are capable of printing furniture, car chassis, and potentially even larger designs. At the time of writing, the European Space Agency’s own 3D printing platform — while not commercially available — is theoretically capable of printing objects of any size using binder jetting technology. Flexibility and customisation. 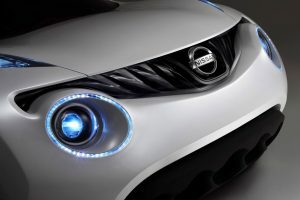 The automotive and aerospace sectors are at the cutting edge of manufacturing innovation, and projects therefore have highly specific requirements that must be met. Additive manufacturing technologies offer enormous scope for customisation of existing parts or production of one-off designs. With this sort of flexibility, even highly complex projects requiring multiple 3D-printed parts — such as jet engines — become more manageable and (in certain cases) cost-effective. This has also played a large part in AM’s gradual move from prototyping to production, as increased sophistication in additive manufacturing technologies means that parts can be optimised for both strength and performance, without any additional machining/tooling costs. Companies such as Ford are already exploring the use of additive manufacturing technologies to produce custom car parts and specialised components for race cars. Reduced wastage. Material wastage is a concern with any of the commonly used subtractive manufacturing methods, and becomes even more important for automotive and aerospace projects, where parts are made of expensive materials (titanium for instance). AM processes can dramatically reduce this wastage, allowing most of the leftover material to be reused in future projects. This will help mitigate the initial cost of the materials used. For example, the Ti-6Al-4V titanium alloy used in additive manufacturing costs more than the equivalent used in CNC processes, but the true value of this investment reveals itself when the reduction in long-term material wastage is considered. For large-scale projects, this can make a significant difference to overall costs. These benefits have already been demonstrated in a number of recent projects. For example, Paragon Rapid Technologies — one of the UK’s leading specialists in rapid prototyping — have enjoyed considerable success in the aerospace and automotive sectors, utilising a wide range of additive and subtractive manufacturing techniques for both prototyping and production. Within the automotive sector, this has included interior trims, steering wheels, centre consoles, door cards, seating mouldings, instrument panels, driver binnacles, exterior mouldings, grills and brightwork, and under-bonnet mouldings. For the aerospace sector, early success stories have allowed them to act as a trusted partner for a number of leading defence and security organisations. 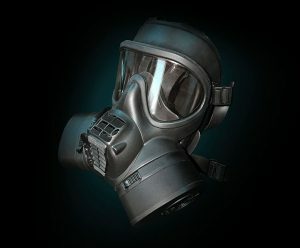 Especially notable was the delivery of fully functional general service respirators (see photo) for the manufacturer, prior to their issue to the military. Further additive manufacturing projects include chemical filter systems, communications equipment and portable lighting, missile components, training weapons and parts for UAVs — all of which benefit from 3D printing technology’s developing capabilities for large-scale projects. With the increasing acceptance of additive manufacturing across multiple industries and ongoing developments in technology, materials and processes, we are sure to see more large-scale projects of this nature in the future, covering functional prototypes, one-off and limited run designs and full production runs. Will the post-processing stage ever become obsolete?